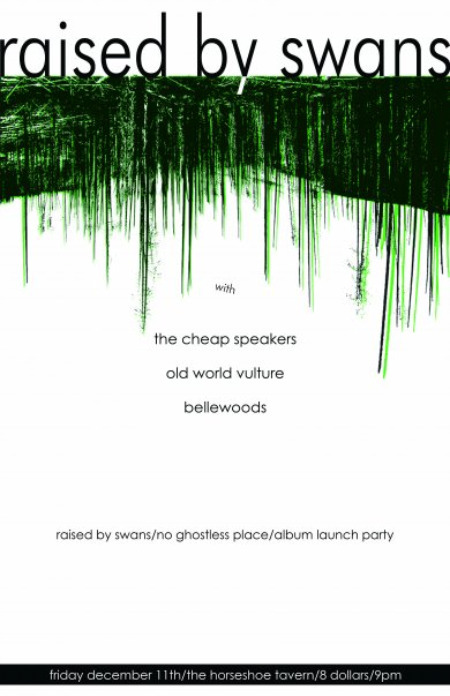 London, Ontarios Raised by Swans are at it again with a followup to 2005’s brilliant album Codes and Secret Longing with a new release titled No Ghostless Place. For fans of sounds in the vein of Mew, Sigur Ros, head to their myspace to hear a couple new songs (I’ll try to get one up on the site) or stream ‘Secret Garden’ below. If you’re in Toronto, head to the Horseshoe this friday for the official CD release party (and the bands first performance in over a year and a half). That can be both a good or bad thing, interested to find out which one it will be. I also wonder if lead singer Eric Howden still performs shoeless. Holly Miranda “Lover You Should’ve Come Over” from Yours Truly on Vimeo. Yours Tru.ly has a great video of Holly Miranda performing ‘Lover You Shouldve Come Over’. -Speaking of videos, kill some time this afternoon watching Music For Kids Who Can’t Read Good‘s best videos of 2009. I think they’ll be a bunch of those making my year end videos list, hang tight for that one. -And speaking of videos again, check out the video for ‘Kisses Over Babylon’, the second installment of SALVO!, a 12-part music video series from Edward Sharpe and The Magnetic Zeros. Kisses picks up in the same desert wasteland world, ravaged by drought. Edward is arrested by two Minors (police from Ursa Minor) for the murder of his own father, and taken to a water-labor prison. There he reunites with Brother, his long-ago friend, and rallies the prisoners to a frenzied prison break. Part one (Desert Song) is at the bottom, might make sense to watch that one first. Edward Sharpe and The Magnetic Zeros “KISSES OVER BABYLON” from Edward Sharpe on Vimeo.